The storm reached category-four status before reaching the northeastern coastline about 11 a.m. local time. MODIS image of Enawo taken at 10:24 UTC (5:24 am EST) Tuesday March 7, 2017. 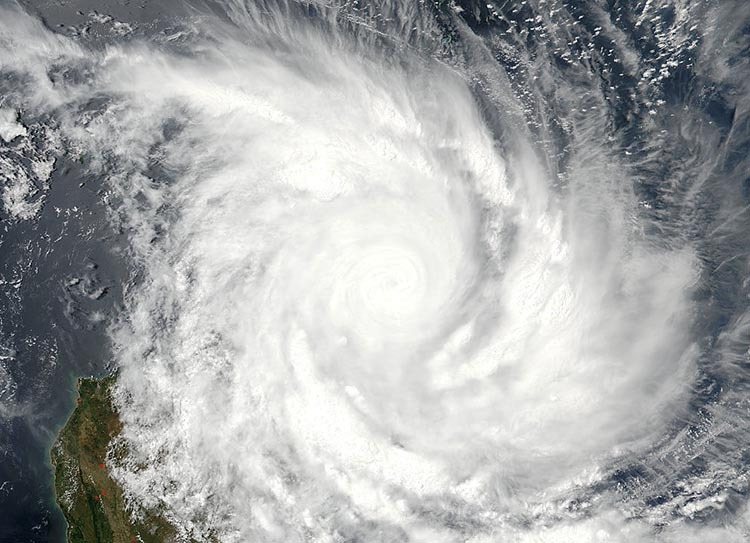 At the time, Enawo had just made landfall over northeast Madagascar as a Category 4 storm with 145 mph winds. Image credit: NASA. (Bloomberg) – Madagascar, the world’s biggest vanilla producer, is being struck by the most intense tropical cyclone to make landfall on the Indian Ocean island nation in 13 years, according to commercial forecaster Weather Underground.